SEO tasks are Divided into two parts. First one is On Page SEO and second is Off-Page SEO. 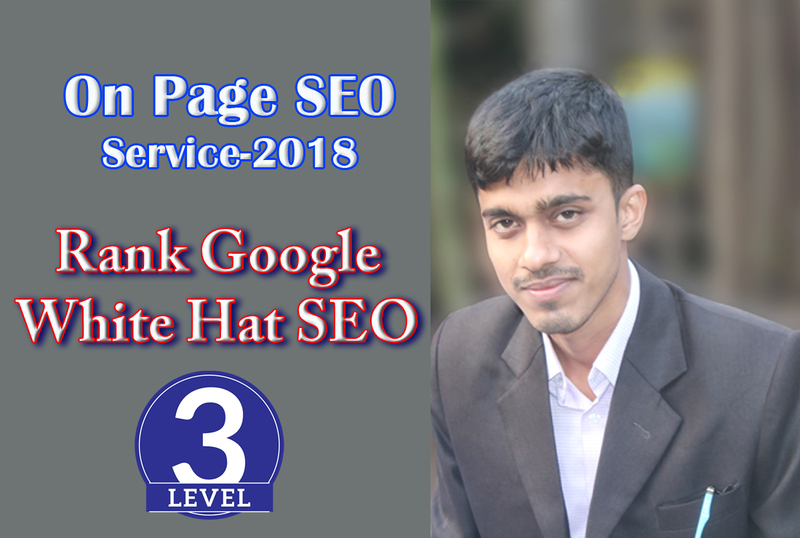 On Page SEO is the first and the most important task for Ranking in Google According Gooogle Update. Without On-Page SEO optimization, you can't rank your website in Google though you have made thousands of Backlinks. Most of the people fail because they don't know where they should start SEO work for there website. In this SERVICE, I will Fix and Optimize On Site Related SEO-Tasks. Before starting optimization, You need to Research and Select keywords. Then you need to write content and optimize them. Then you need to do Off-Page-SEO. You can hire me for these tasks. What Will I Do for This Service? I will find and fix On-Page errors for you. I will Optimize URL, place Keywords to Heading (H1-H3) and optimize in contents, Fix keyword density, Optimizing Images, Write Meta Title and Description, Fix 301 Redirect, reduce Page Loading speed, Remove broken links, IP Canonicalization and fix any type of On-Page related errors. If you are looking for Google First Page Ranking your website, you are in the right place and person. I will help you rank your website on Google First Page. To learn more Feel free to contact me. Don't forget to check my Extra Services and other Services which definitely help you to Rank Google and Increasing Sales. Fix SEO Optimization for Any Website is ranked 5 out of 5. Based on 11 user reviews.